Why Hopkins will win: If you’re not aware of Paige Bueckers by now, you can’t call yourself a girls’ basketball fan. The 6-0 junior point guard is not only the state’s best player, she’s the top recruit in the nation in the Class of 2020. So far in this tournament, she’s averaging 28.5 points, 5.5 assists, four rebounds and three steals per game. 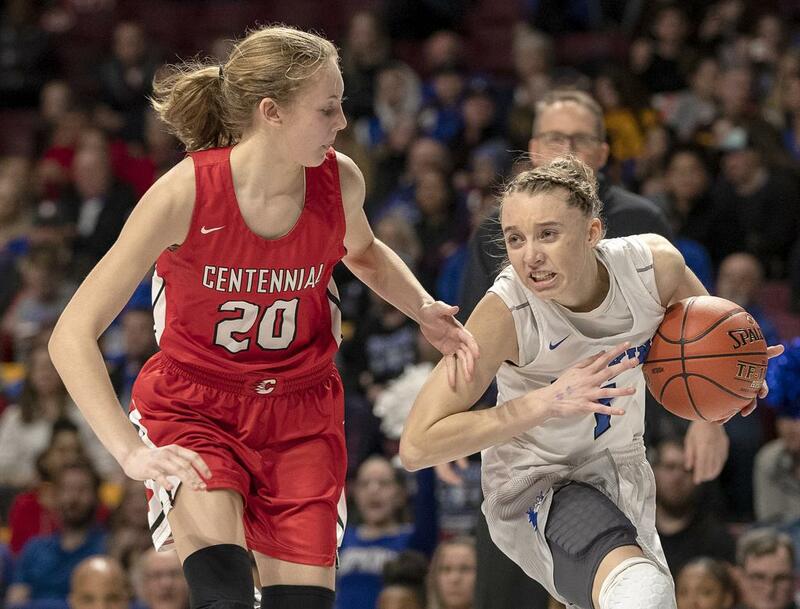 But, as Stillwater coach Willie Taylor noted, Hopkins “is more than just Paige Bueckers.” The Royals’ key is their ball-pressure defense, creating turnovers and forcing opponents to play at their tempo. Why Stillwater will win: While the Ponies lost to Hopkins by 22 points in November, both Taylor and guard Alexis Pratt said after their semifinal victory that “we’re not the same team we were then.” Guard play is vital to postseason success, and Stillwater has a backcourt duo in Pratt, who plays at hypersonic speed, and Gophers recruit Sara Scalia, who can handle Hopkins’ pressure and create easy baskets. The Ponies are no slouches at pressure defense themselves and could force Hopkins’ large contingent of younger players into turnovers and mistakes. Worth knowing: Including this season, Hopkins coach Brian Cosgriff and Stillwater’s Taylor have coached in 21 state tournaments and have won eight state titles. Cosgriff has won six championships at Hopkins, most recently in 2015. Taylor won titles with St. Paul Central in 2007 and 2008. Stillwater is making its first championship game appearance while Hopkins will be in the finals for the fifth consecutive year.